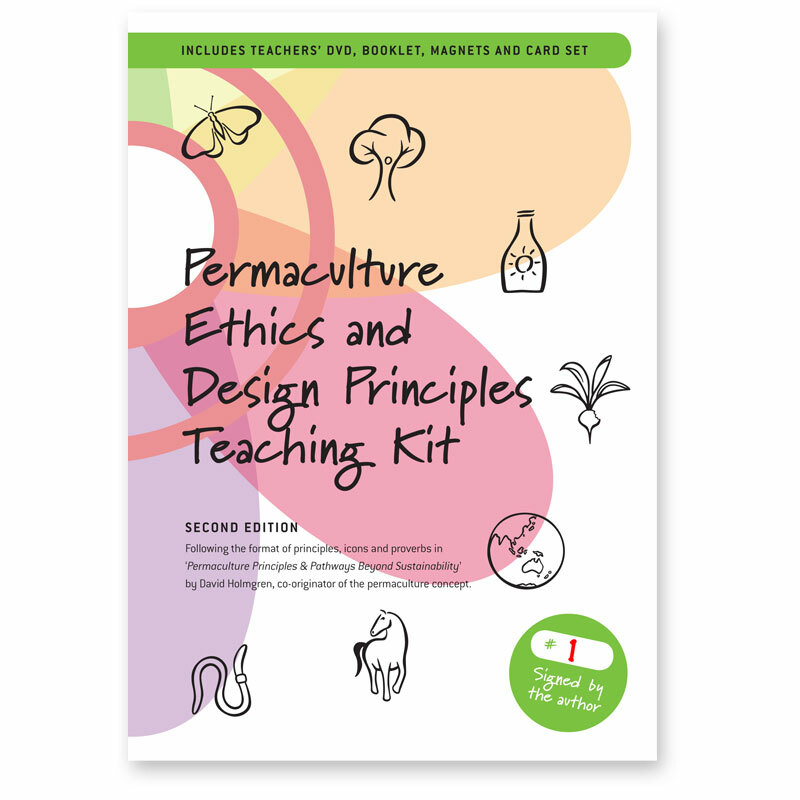 Designed as an aid to teaching ethics and principles on Permaculture Design Courses and introducing permaculture to a wide range of audiences from school children to design professionals. 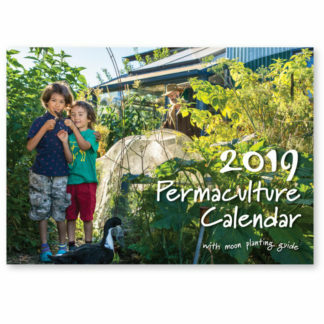 Includes Teachers’ DVD, 52 Card Set, 15 Magnet Set, Explanatory Booklet, Permaculture: A Rhymer’s Manual CD and Essence of Permaculture Booklet. 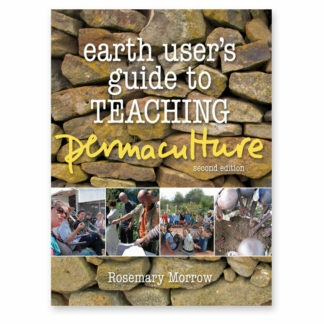 This teaching kit will be useful for anyone involved in permaculture and environmental education wanting a condensed way to communicate and remember the essence of the powerful concepts explained in Permaculture: Principles & Pathways Beyond Sustainability. 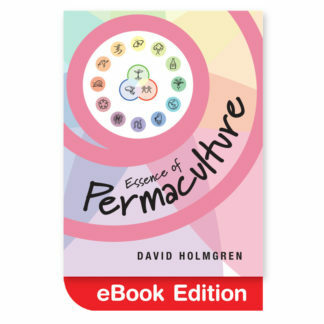 For those who have read Permaculture: Principles & Pathways Beyond Sustainability and Collected Writings 1978-2006, this Teaching Kit provides the most up to date access to David Holmgren’s insights and perspectives that can be applied to every aspect of life. For established permaculture teachers around the world, this Teaching Kit provides in-depth access to the content and methods David uses to teach permaculture principles that has previously only been accessible to the limited numbers able to participate in his advanced permaculture principles courses. For the hundreds of purchasers of the first edition of the teaching kit, the Teachers’ DVD included in this second edition of the teaching kit is a major update to extend their understanding and skills in teaching permaculture ethics and principles. 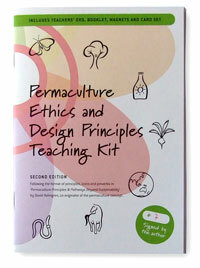 The DVD is available to current owners of the first edition teaching kit at a discounted price. 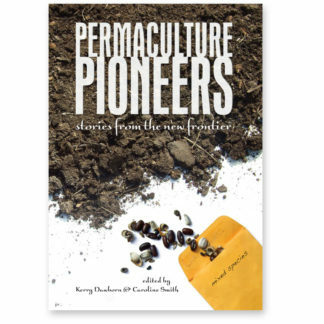 For those interested in the history of permaculture, new material in this Teaching Kit clarifies the lineage and evolution in the understanding and explanation of permaculture principles. The Teachers’ Kit consists of a Teachers’ DVD, Permaculture: A Rhymer’s Manual CD, 15 fridge magnets, 52 cards, Essence of Permaculture booklet and an explanatory booklet, packed in a robust A5 plastic box. Copies of the second edition have been numbered and signed by David Holmgren. Explanatory booklet – 26 page A5 booklet printed on 100% recycled stock. 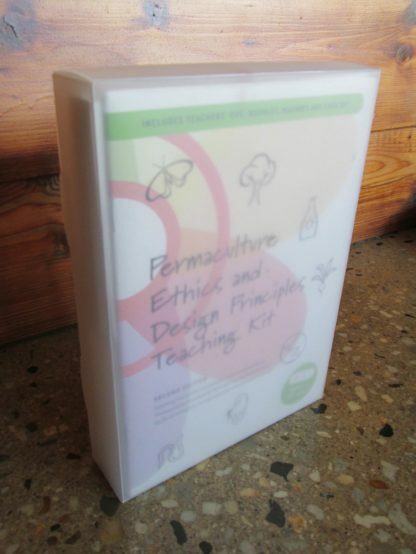 The Teachers’ Kit includes a comprehensive booklet that includes an outline of the structure of the ethics and design principles presentation, a guide to using the teachers’ kit, further teaching tips and guidance, and an explanation of each card in the card set. 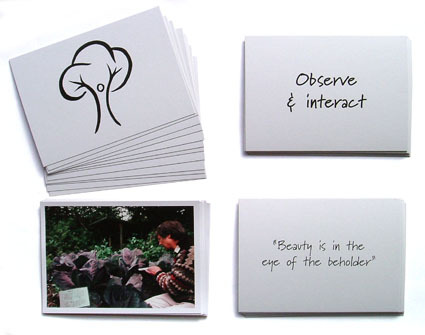 Card Set – 52 x A6 sized cards (B&W with 12 colour) on 300gsm 100% recycled stock. Designed by graphic artist, Richard Telford, using striking icons, the principle card concept is based on a card set developed by Robin Clayfield and Skye, innovators in creative and participatory learning methods in permaculture. For each of the twelve design principles there are four cards: principle, icon, proverb (black on white) and photo (full colour). For each of the ethics, there is a single card with the ethic, icon and action statement.The cards can be used as a static display, a group revision game, or to present ethics and principles especially when audiovisual equipment is not available. Permaculture Ethics & Design Principles Teachers’ DVD – Recorded and produced in David’s home town of Hepburn, Central Victoria, Australia, July 2008. Length: 212 mins plus extras. Compatibility: OSX, OS9, Windows PC, PAL DVD Video – All Regions. 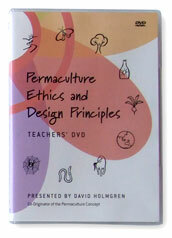 This Teachers’ DVD is an integral part of the Permaculture Ethics and Design Principles Teaching Kit. 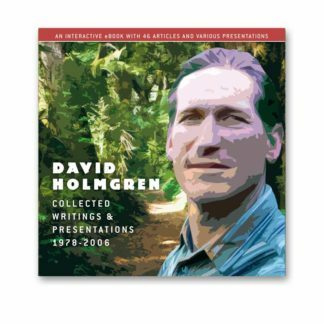 It provides in-depth access to David Holmgren’s articulation and teaching of the permaculture ethics and principles in two parts. The first part is a presentation covering the three ethics and the twelve design principles that underpin the diversity of permaculture systems and solutions. 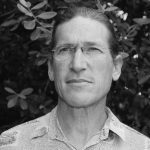 Using simple yet powerful icons, proverbs and examples, David makes the link between the traditional wisdom of the elders and the power of systems thinking. 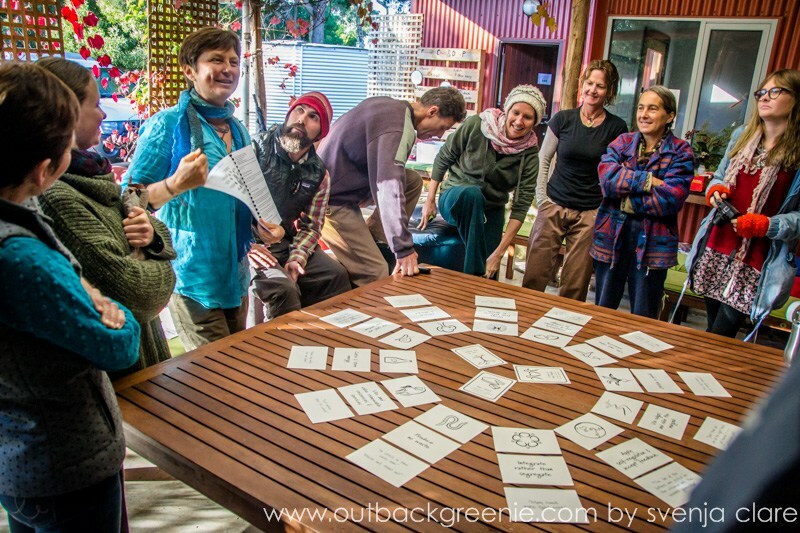 In the second part we see the participants on a course in David’s home town of Hepburn, work-shopping the principles with their own interpretations and examples. 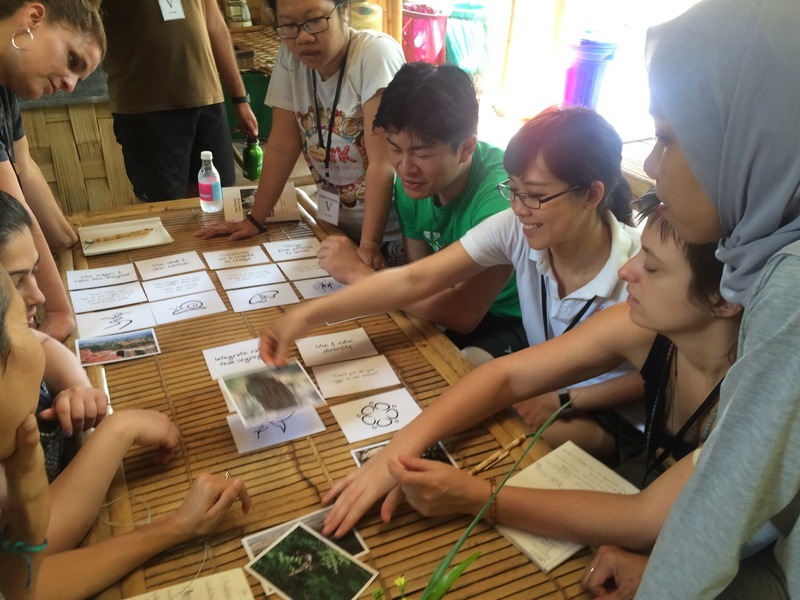 The Digital Resources folder on the DVD is packed with additional presentations, articles and graphical resources directly relevant to understanding and teaching permaculture ethics and principles. 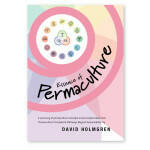 Essence of Permaculture booklet – 22 page A5 booklet printed on 100% recycled stock – also available separately. 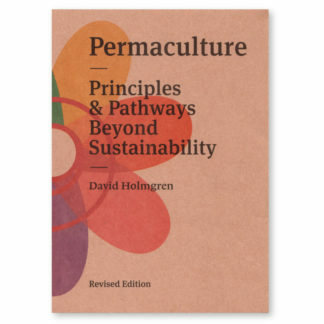 A summary of permaculture concept and principles from Permaculture Principles and Pathways Beyond Sustainability by David Holmgren. A useful companion to the kit and a popular introductory text for PDC students in preparation for the course. 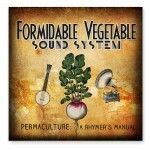 Permaculture: A Rhymer’s Manual – CD, also available separately. 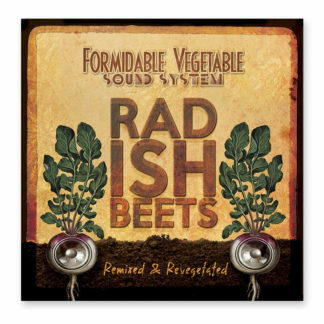 The Formidable Vegetable Sound System brings a whole new way to learn all 12 of the principles, with catchy beats that not only get your toes tappin’ but will inspire you to get into motion. It’s a fun introduction to each of the principles with lyrics that reinforce the message. 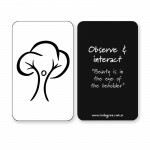 Fridge magnets – 15 x (55mm x 90mm) b&w double sided magnets – also available separately. A set of fridge magnets of the ethics and principles is included in the kit which show the icon on one side, and the name and proverb on the reverse.